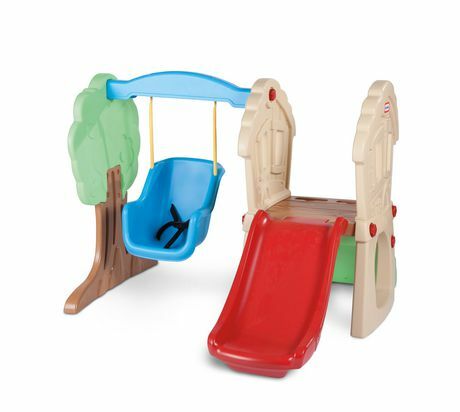 A slide, a swing, a rock wall and a platform! 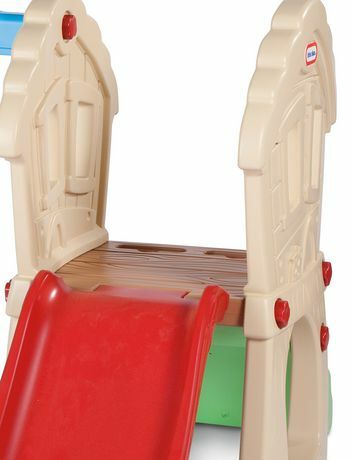 This fun toddler's climber encourages role playing and imagination and is great for use indoors or outdoors. 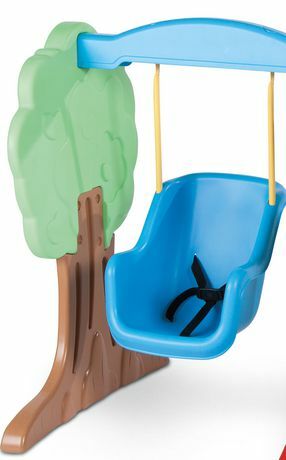 The toy climber features a swing equipped with a three-point safety belt and an easy climbing rock wall for beginners. 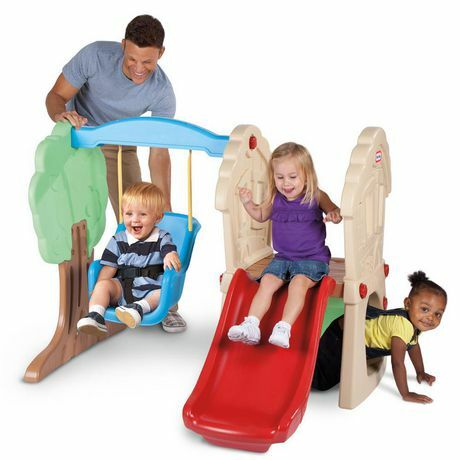 For warranty service or replacement part information, please visit our websiteat www.littletikes.com, call 1-800-321-0183 or write to: Consumer Service, The Little Tikes Company,2180 Barlow Road, Hudson OH 44236, U.S.A. Some replacement parts may be available for purchase afterwarranty expires—contact us for details.